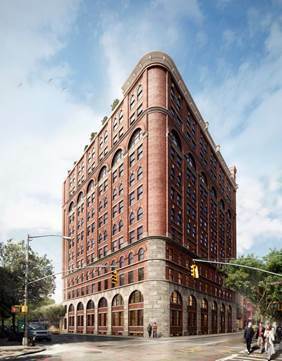 The Naftali Group has officially announced the launch of sales at The Shephard, a historic Romanesque Revival warehouse located in the heart of the West Village at 275 West 10th Street on the corner of Washington Street. The sales gallery for The Shephard, located at 132 Perry Street, is now open. Restored beyond its original grandeur, The Shephard combines turn-of-the-century exterior industrial architecture with elegant interiors designed by Gachot Studios. The Shephard features 38 residences and more than 25 unique layouts ranging from two- to five-bedrooms. Originally built in 1894 as a 12-story warehouse, the building was converted into apartments in 1975. The Naftali Group has painstakingly gut-renovated the entire building down to its original structure, installing brand new systems and interiors and adding three penthouses as well as a new lobby entrance and private resident’s garden at 275 West 10th Street. “The Shephard is a spectacular building located in one of the most desirable neighborhoods in all of Manhattan. I was taken by the building the very first time I saw it and I am excited that we can give it a new life. An opportunity to develop a property like this comes along once in a lifetime,” said Miki Naftali, President & CEO, Naftali Group. Among its distinctive characteristics, The Shephard features a stunning façade of pronounced granite and brick accented by large arched windows. Architect Beyer Blinder Belle oversaw the restoration with interior designs by Gachot Studios. Beyer Blinder Belle is world-renowned for its landmark work including the restorations of Grand Central Terminal and Ellis Island, and their award-winning redesign of the TWA Terminal at JFK Airport. 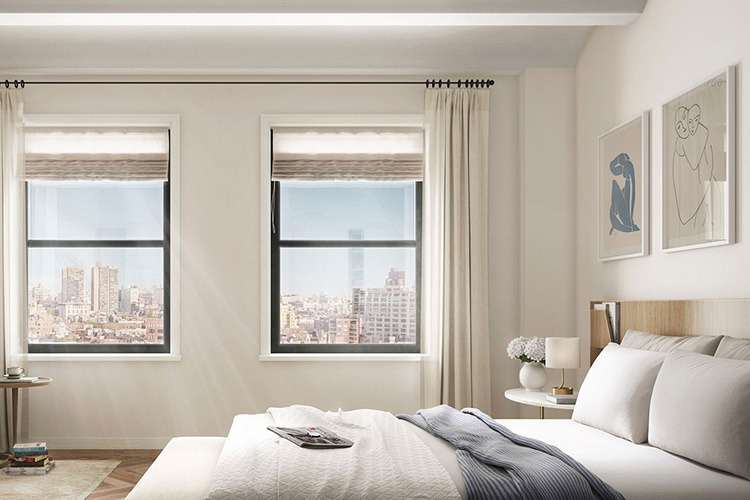 Gachot Studios is one of New York’s preeminent design studios with noted works including the Smyth Tribeca, Standard Hotels, numerous celebrity private homes and the Sterling Mason in Tribeca. Residents will enjoy a host of superlative amenities including a gym, lounge, Sports Court with basketball hoop, and separate sauna and steam rooms. Additionally, there is a Pilates studio, golf simulator/screening room, rock climbing bouldering wall and game room. For more serene activities, residents can head to the private garden or library. Private storage is also available. “These apartments epitomize the best of New York City: upscale lifestyle in a building with roots dating back more than a century in the heart of the West Village. This is an incredible product and we anticipate these units will sell at a very brisk pace,” said Stribling Marketing Associates’ Alexa Lambert, who is handling sales and marketing for the building. The Shephard is situated just blocks from the Hudson River Park and its walking and bike trails with picturesque vistas of the Hudson River. Located in the historic West Village and just steps from the Meatpacking District, the neighborhood offers an abundance of fine dining, cultural institutions such as The Whitney Museum and world-class shopping.